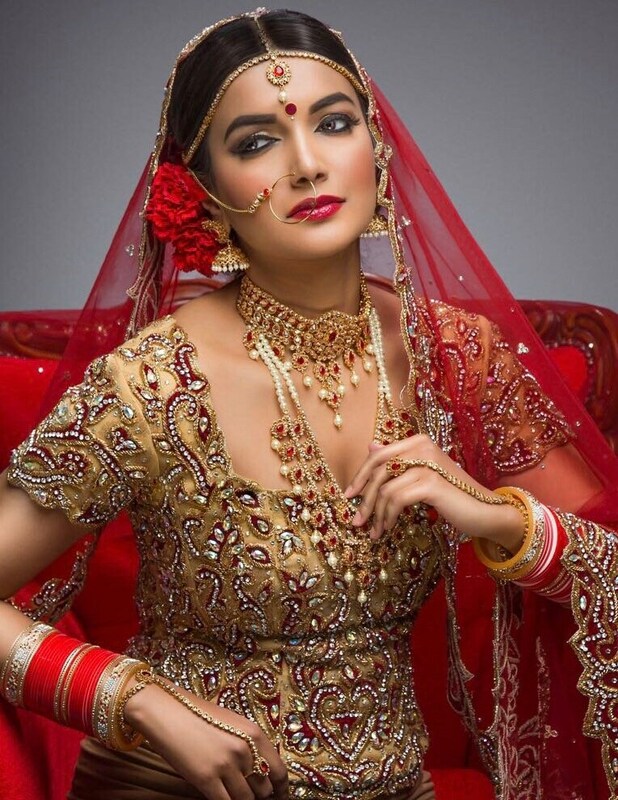 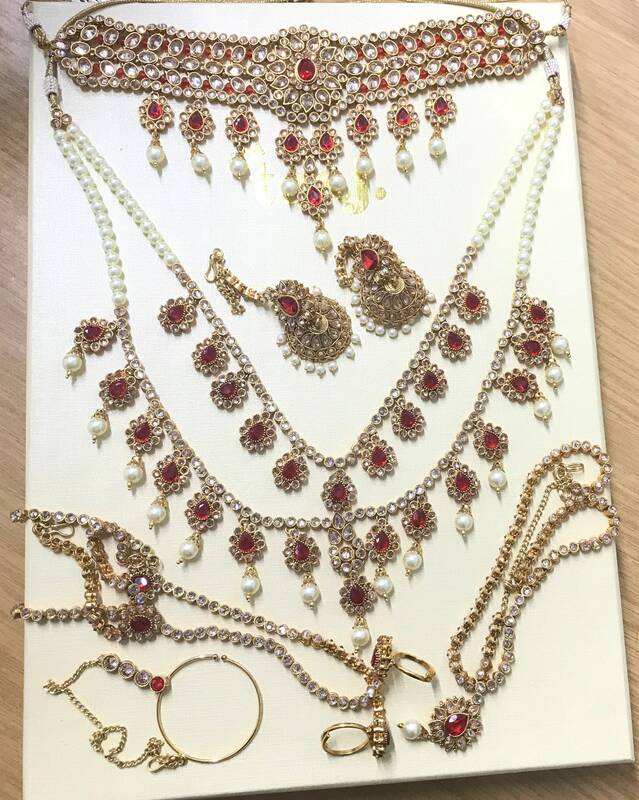 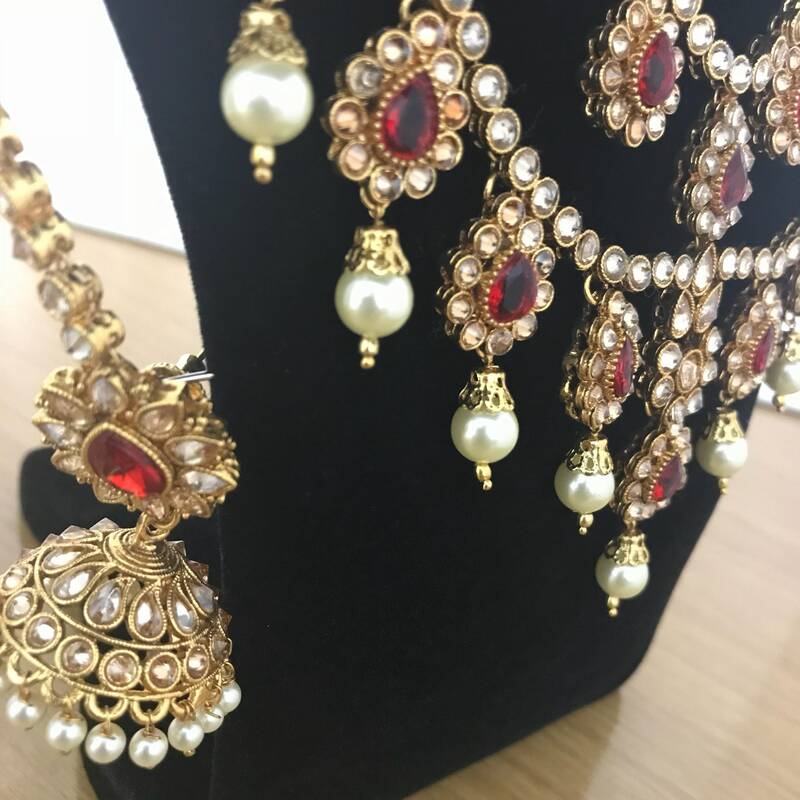 Intricately designed 8 piece gold traditional bridal set. 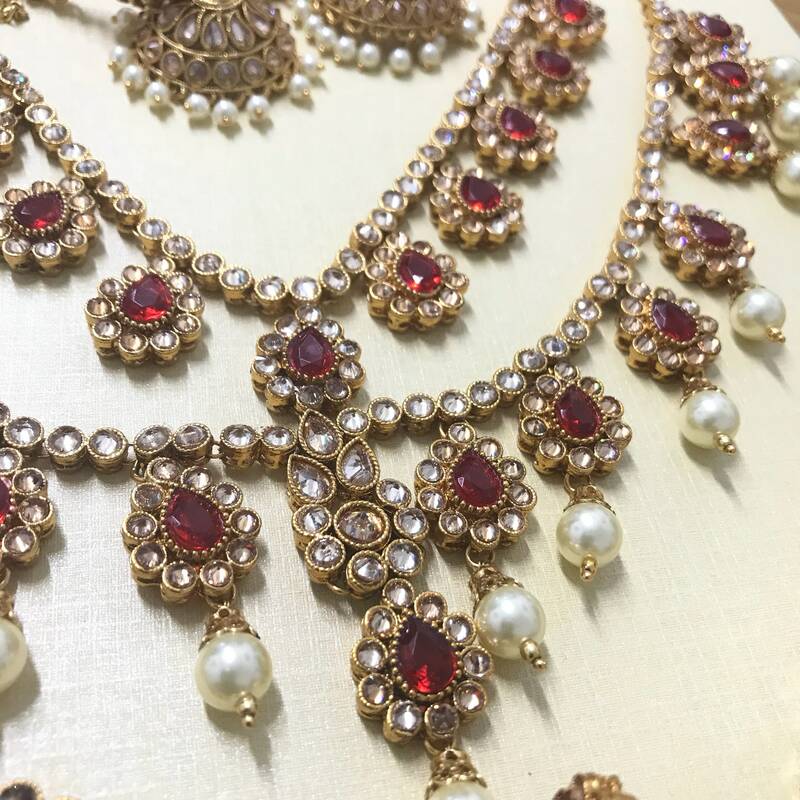 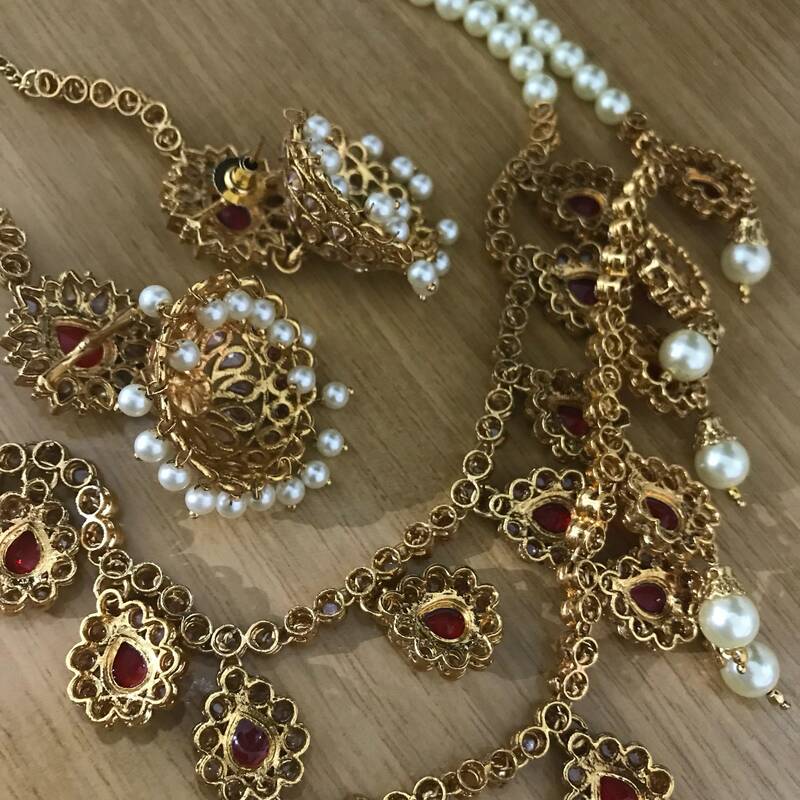 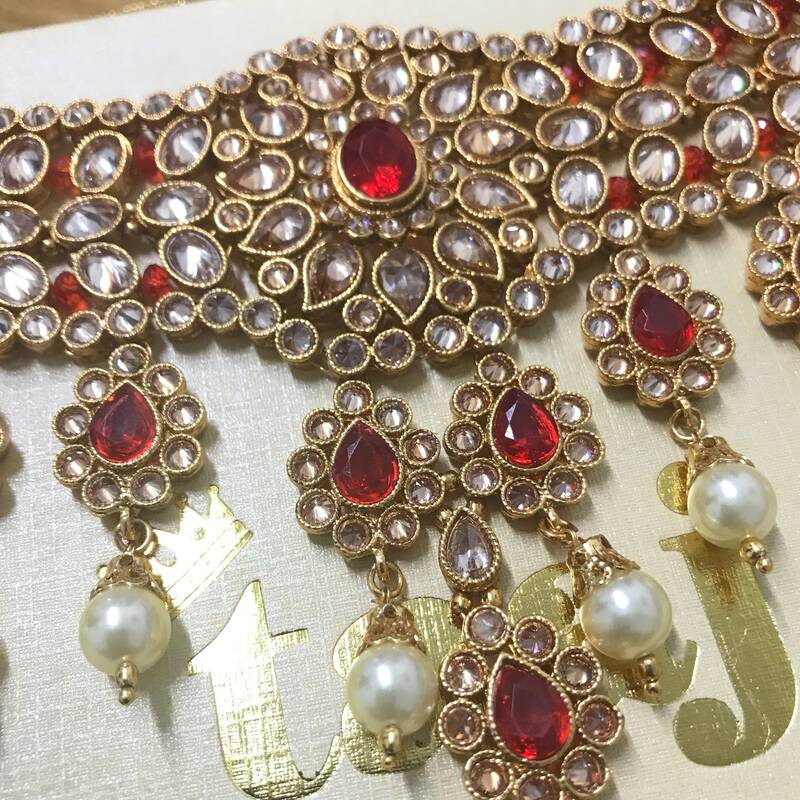 Encrusted in champagne zirconia stones with red gems, additional faux ivory pearl droplets. 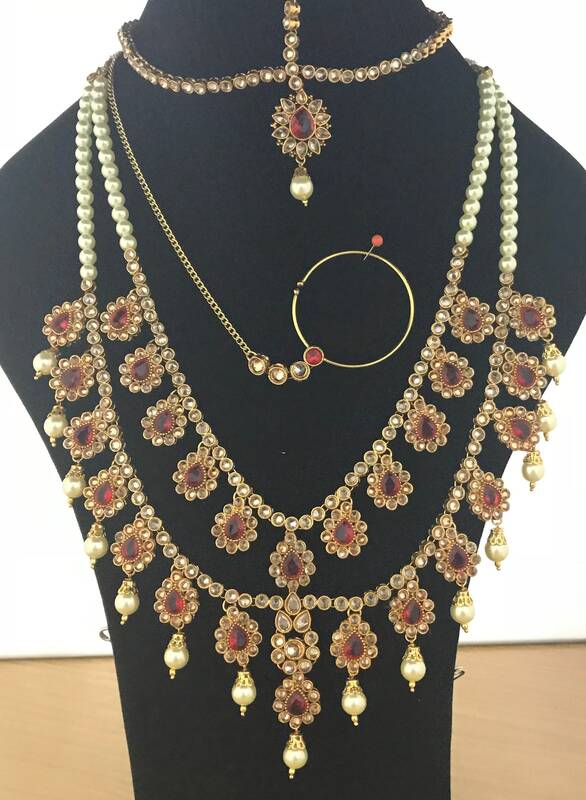 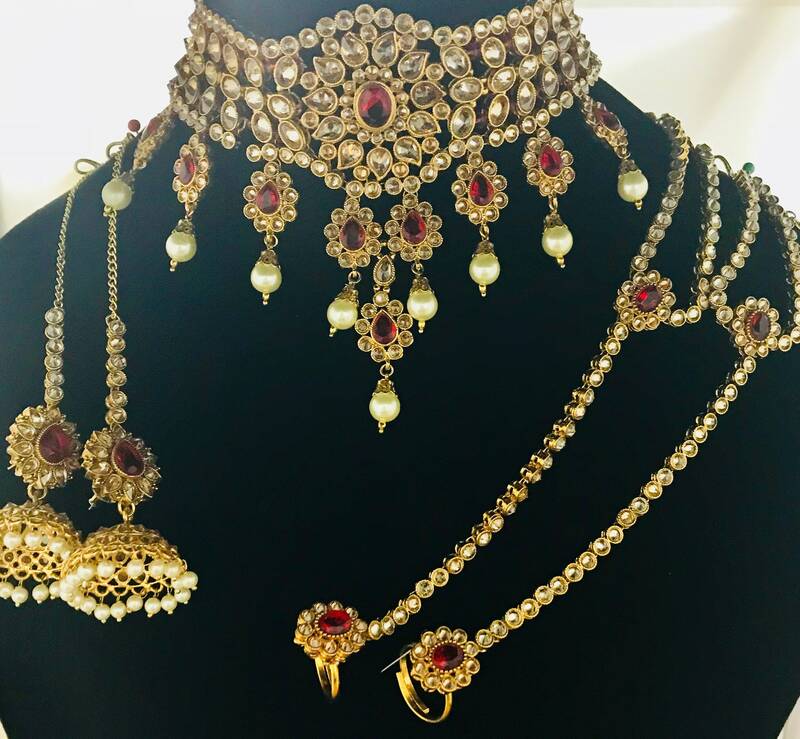 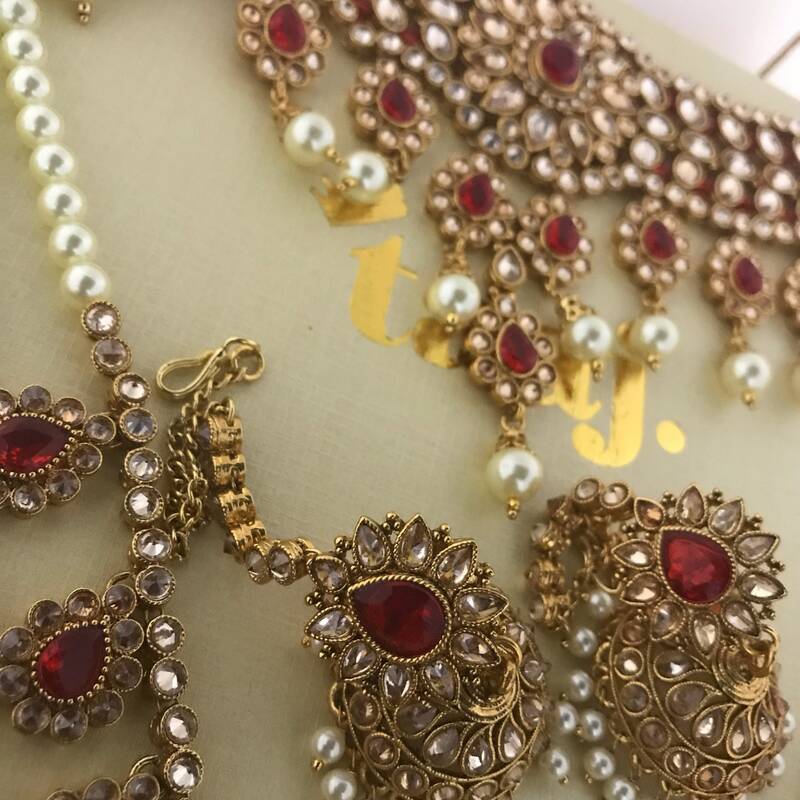 Set consists of choker necklace, rani/long necklace/haar, pair of jhumka earrings, nose/naath piece, matha Patti/headpiece, pair hand piece. 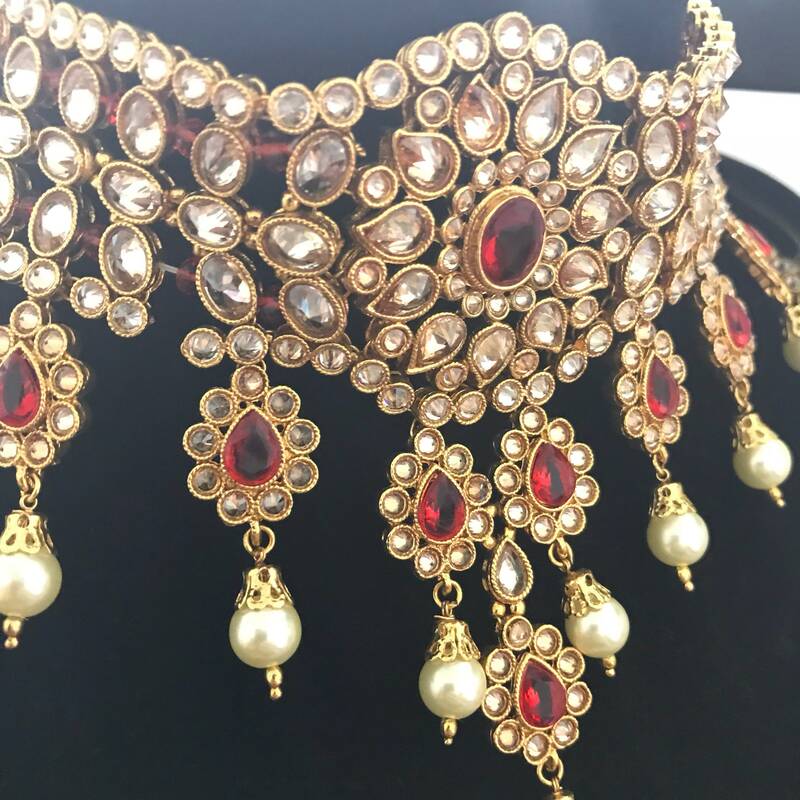 Long necklace drop L300mm + extension cord to adjust further.